In the last two weeks, something has been sending waves of excitement all over the internet, and it's the game called Pokemon Go. This is the game that had broken records on iOS and Android with millions of downloads within a week of its Official release. If you haven't heard or do not know what Pokemon Go is, it's a smartphone game that involves catching Pokemons. So what makes it different? 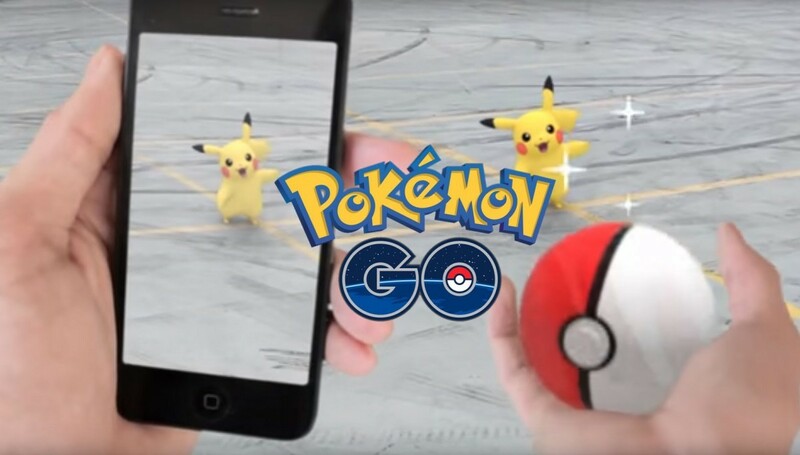 Pokemon Go uses a smartphone's in-built GPS and Camera in a combo with Augmented Reality (AR) to create a live experience of catching Pokemons. Anyway, we're not here to elaborate on how playing Pokemon Go feels, and the feats Pokemon Go has amassed in the weeks since its release. No, we're not. What we are interested in here is the trend the game sets for the use of Augmented Reality on our mobile (smart) phones, as long as you own an iPhone or Android, you really should look at AR being used on cameras in this post. Niantic, the developers of Pokemon Go, have been behind several immersive games, and had previously taken a shot at utilizing Augmented Reality on smartphones with the game, Ingress. However, Pokemon Go is the first mobile game to offer a decent AR experience without the need for any other thing apart from the smartphone itself. Previous efforts at incorporating augmented reality into our everyday smartphone use need the use of an AR-designed headset or device of some sort, which requires more out of the pocket of the interested. All Pokemon Go uses is the in-built GPS of a smartphone and the camera, utilizing the software and internet connection to create virtual images of Pokemons in front of and around a player, with the GPS used to place virtual Pokemons in real-life locations in the environment of the player, prompting them to move around in order to catch 'em all. This shows that the capability of Augmented Reality has been with modern smartphones, at least those manufactured as far back as 2014, since all you need is a smartphone with good internet connection capabilities, clear camera, solid GPS and strong battery. So why have we not been having Pokemon GOs to play on our smartphones? Why is the Google Play Store and the Apple Store not filled with AR-enabled apps requiring you to move around and interact more with the environment, or at least offer some immersive experience of the virtual in the real? It just shows how lightly developers have taken this possibility. Perhaps they don't know it's possible, or they've tried and failed. Well, Pokemon Go didn't come out of the blues. Niantic workers didn't just wake up one day and put together the addictive game. It has taken them years of plannings, failures and retries, and from the success the game has seen in such a short time, it has been worth all the stress. What I'm particularly excited about is the future our smartphones now face in terms of Augmented Reality usage. PokeMon Go has set a trend in the mobile gaming industry, and it's one other developers and gaming companies are bound to (and had better) follow. Relax, dear smartphone, your augmented future is bright!